Damesfontein has offered safety and tranquility on our sixth-generation farm for the past 200 years. Come and experience true Karoo hospitality and visit our unique farm museum. Accommodation is offered in a spacious three-bedroom house sleeping up to nine guests, and a separate two-bedroom cottage which can accommodate six guests. The units are fully furnished and well equipped for self catering. Alternatively, you can opt for our traditional meals. Elsewhere on the farm, mountain bikers can enjoy cycling along our walking paths, and fossils are still being discovered in the hills, some of which are also on display in the farm museum. You will feel the difference when you come to our farm. It’s the Karoo air entering your senses where you breathe more deeply and life beats to a different rhythm, a rhythm of peace. 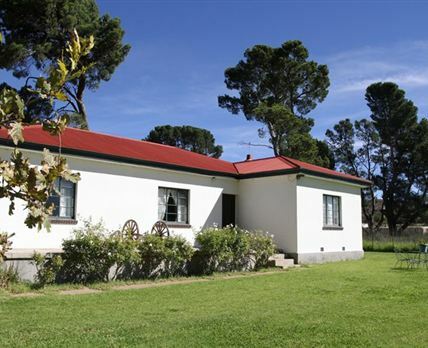 Click here to enquire at Damesfontein.